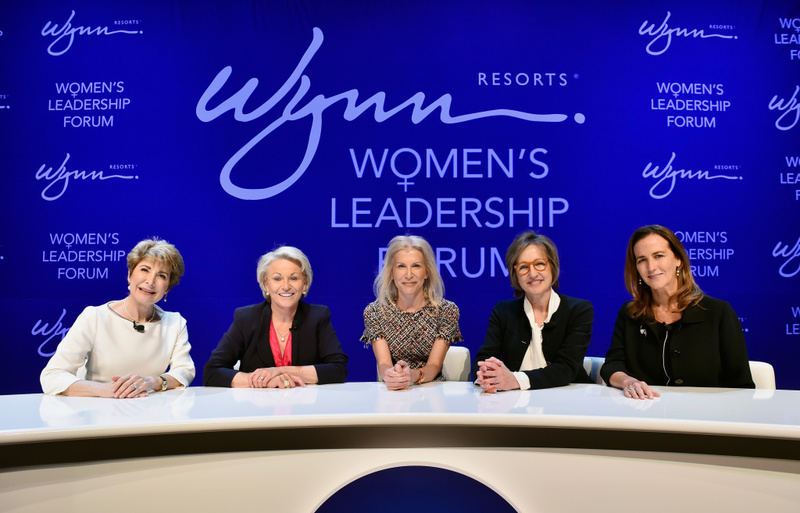 (L-R) Wynn Resorts board members Betsy Atkins, Pat Mulroy, Wynn Resorts EVP and General Counsel Kim Sinatra, Wynn Resorts board members Dee Dee Myers and Wendy Webb attend the inaugural Women's Leadership Forum at Wynn Las Vegas on May 14, 2018 in Las Vegas, Nevada. The proposal wants to address the issue of the dearth of female representation on corporate boards. But critics question the constitutionality of such a proposal, among other things. Call us at 866-893-5722 and weigh in.